Wigan slipped to two places above the Championship relegation zone as they failed to break down Brentford at the DW Stadium. A quiet first half was lit up by Reece James' spectacular volley from around 30 yards which was tipped over by Brentford keeper Luke Daniels. 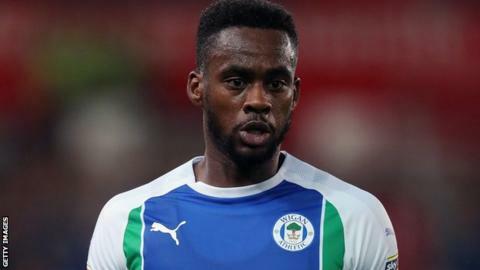 Daniels saved one-on-one from Gavin Massey soon after the restart while the Wigan attacker also had a header palmed away after an hour. Wigan twice went close to grabbing a late winner but Anthony Pilkington's close-range finish was ruled offside before Chey Dunkley hit the angle of post and bar with a header. Reading leapfrogged the Latics - who are now 20th - after their win over Preston, while Brentford remain in 13th position in the second tier. Wigan have won just once in their last nine matches and are four points above Rotherham, who occupy the final relegation place. Brentford, who began the season in free-scoring fashion which saw them challenge at the top of the table, have now failed to score in three games, picking up just one point from a possible nine. "I thought it was a very interesting game. I think they're an excellent side who are very well coached. "But in terms of penetration and effort, I did think we had the better chances. "While there's a tinge of disappointment not to have won it, you have to respect the opposition and the league and it's a point towards where we want to be. "Our lads gave everything once again and, as a manager, you can't ask for any more." "It was a game of very few chances and I think it was a fair result. "We can't get away from the fact Wigan had the better chances and we needed Luke Daniels to keep us level. "Our normal fluent play between the lines just wasn't there and we weren't good enough to play around them. "It's a positive point because earlier in the season we would have lost that game maybe 1-0. If you can't win, especially in this relentless league, you must not lose." Match ends, Wigan Athletic 0, Brentford 0. Second Half ends, Wigan Athletic 0, Brentford 0. Attempt blocked. Lewis MacLeod (Brentford) right footed shot from outside the box is blocked. Assisted by Kamohelo Mokotjo. Attempt missed. Nick Powell (Wigan Athletic) right footed shot from outside the box misses to the left. Assisted by Leon Clarke. Substitution, Wigan Athletic. Callum McManaman replaces Gavin Massey. Cheyenne Dunkley (Wigan Athletic) hits the bar with a header from the centre of the box. Assisted by Daniel Fox with a cross following a set piece situation. Substitution, Brentford. Lewis MacLeod replaces Josh Da Silva. Corner, Wigan Athletic. Conceded by Mads Bech Sörensen. Offside, Wigan Athletic. Reece James tries a through ball, but Joe Garner is caught offside. Sam Morsy (Wigan Athletic) wins a free kick on the left wing. Corner, Brentford. Conceded by Daniel Fox.